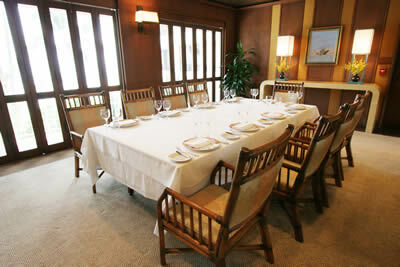 Main dining room for 25 or more, separate seating. Elegant Evening Attire for women. Dinner Jackets or Dress Shirts, Dress Slacks and Shoes for gentlemen. La Mer became available for lunch reception. Minimum 10 person or more. Enjoy beautiful cuisine of La Mer at your reception. Effective from 1/1/2019 to 12/31/2019. The 1st, 2nd, 3rd, and 4th course are Demi Portion. Kids menu is not available. Adult menu/price will be applied. Effective from 1/1/2017 to 12/31/2018. Menu include a wedding cake with fresh flower decorations. Size may vary by guest numbers. Full amount will be charged if cancelled within 7 days.